The Albino Shark is a tropical freshwater cyprinid. The body length can reach 12-15 cm. 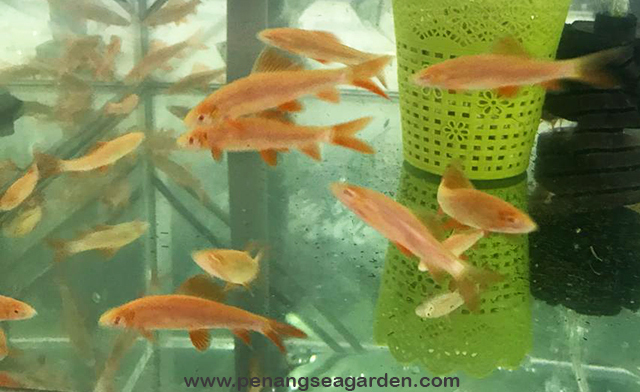 They are known for their territorial nature and bright vibrant red fins. 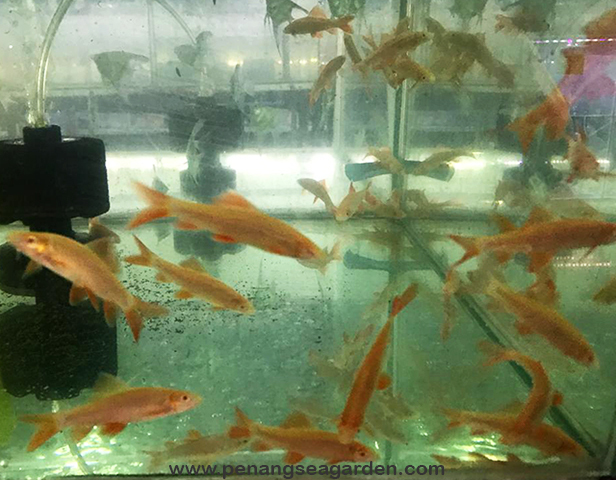 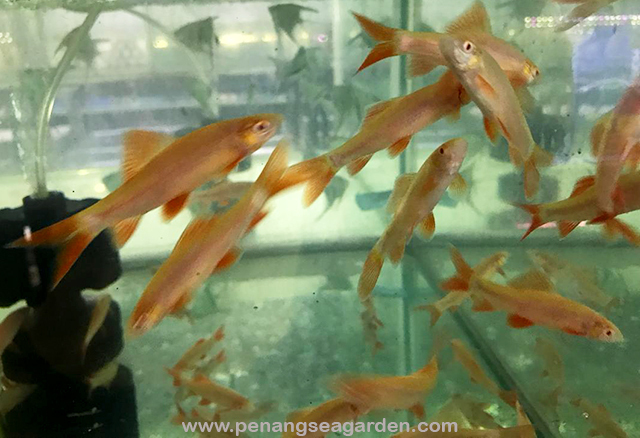 Originating from the warm rivers of Southeast Asia, they were given the affectionate common name of Rainbow Shark, due to their upright dorsal fin which gives them the appearance of a shark. 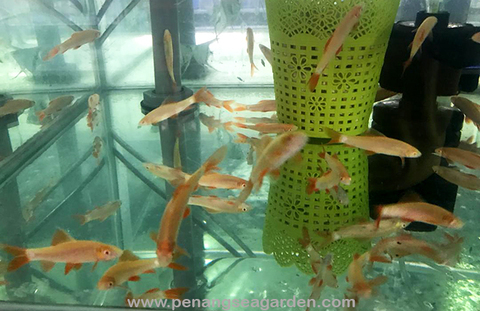 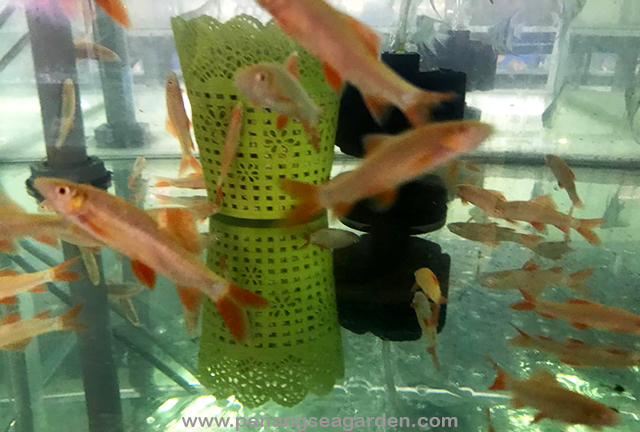 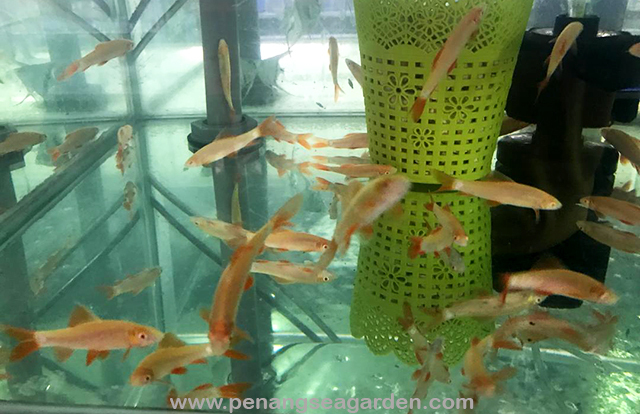 You should expect your Rainbow Shark to grow up to 6 inches in length and have a lifespan of 5-8 years.